The main structure of the sculpture is ‘T’ Washed galvanised mild steel, with the column graphite painted. 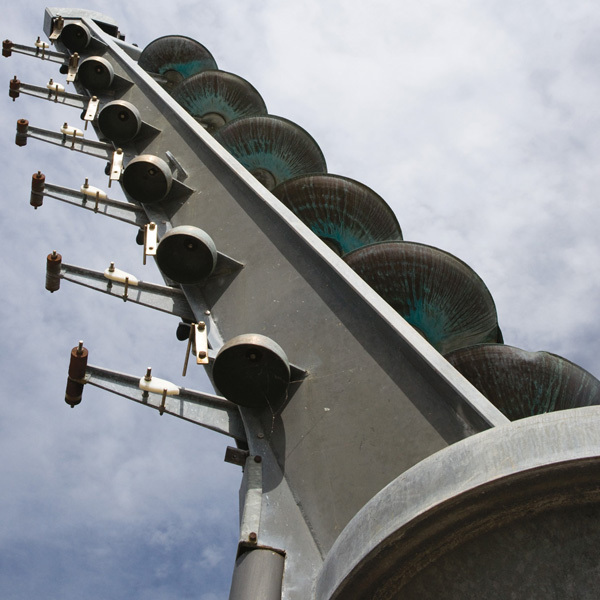 The water bowls are spun copper and the bells are a brass/bronze alloy, together forming a 26 feet high rotating water clock, that chimes on the hour. 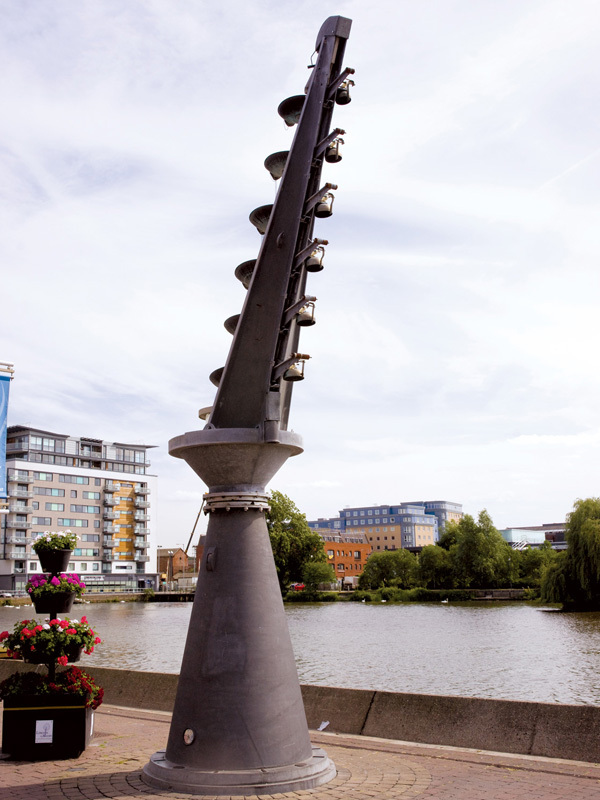 The sculpture is situated at the Brayford Pool, Lincoln. Andy Plant has been making interactive mechanical sculpture for 25 years, combining a background of sculpture, engineering, and large transforming theatre sets, his work is ’as much about performance as visual art… a sense of place and a sense of humour’.